Every so often I discover a product that makes me wonder how on earth I've managed to live without it. It quickly becomes a staple in my beauty routine and I find myself not being able to go even a day without using it. 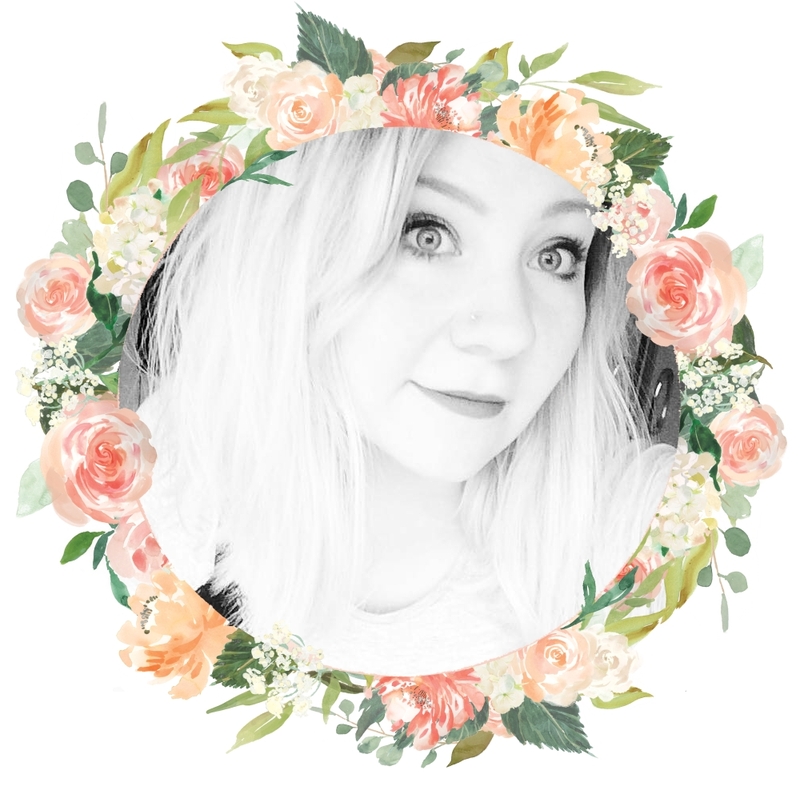 These are those products - my everyday beauty staples. I have been utterly obsessed with this palette since I first bought it earlier this month. I feel like all of the colours are so gorgeous and shimmery, they suit pretty much everything. I hardly ever leave the house without a little dusting of 'Bananas' and 'Peanut Butter Cup' over my eyelids at the very least. You can read a full review here. Even if I'm having a day where I only apply foundation and mascara, this blusher is a product I always reach for just to brighten up my complexion. I love how girly and pink it is, especially as most blushers are usually way too dark for my skin tone. It smells absolutely delicious and I love how it's not a shimmer, but not completely matte either. 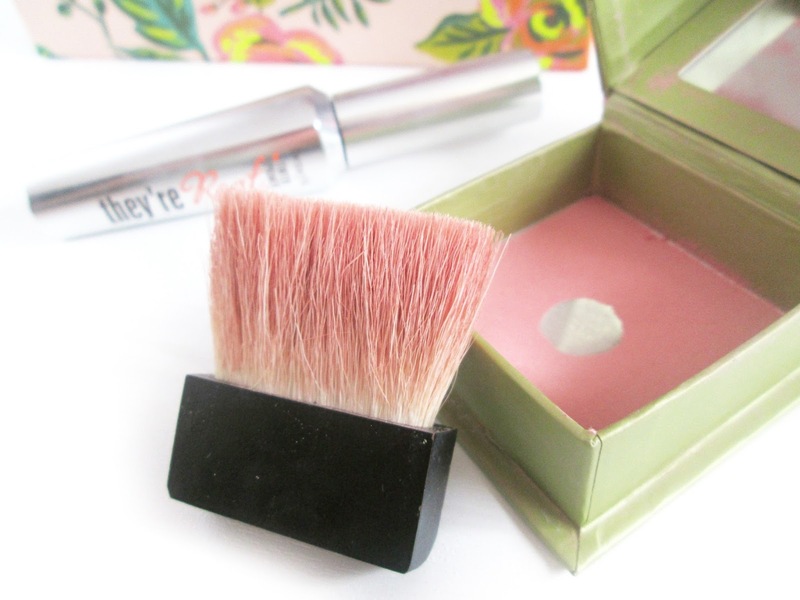 The brush that comes with it is a bit useless, so I'm currently using my Spectrum angled powder brush to add a quick sweep of pink to my complexion. This highlighter is honestly crazy-amazing. It's so pigmented and shimmery, with the peach being the perfect shade for my skin (it's also available in ink and gold.) The best part is that once on, this highlighter looks very high-end due to the quality, despite being only £3! I love how glowing and gorgeous it makes me feel. Lastly is my current favourite foundation. For once I've managed to find a foundation that seems to agree with my skin! 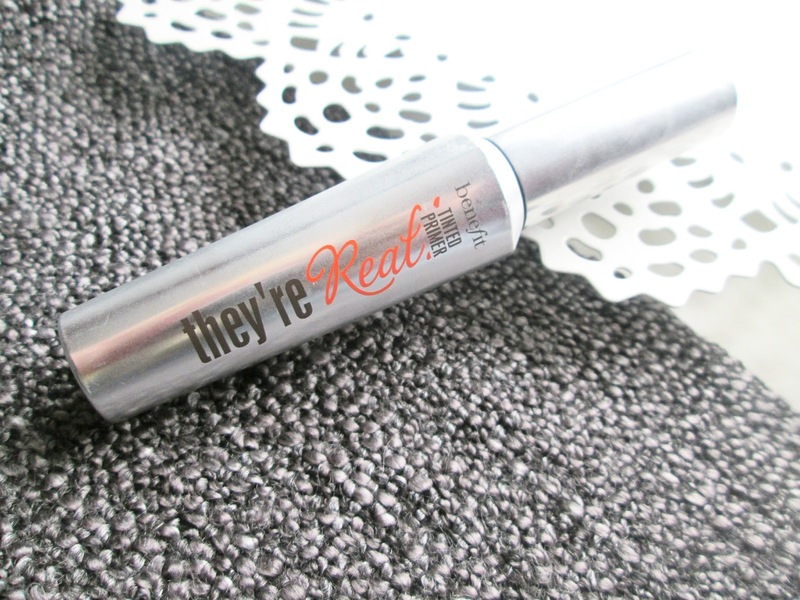 It isn't greasy or drying and is the absolute perfect colour, I use it absolutely every day. You can read more about how I think it's a MAC dupe here. What products are you obsessed with recently? Are they your everyday beauty staples too? 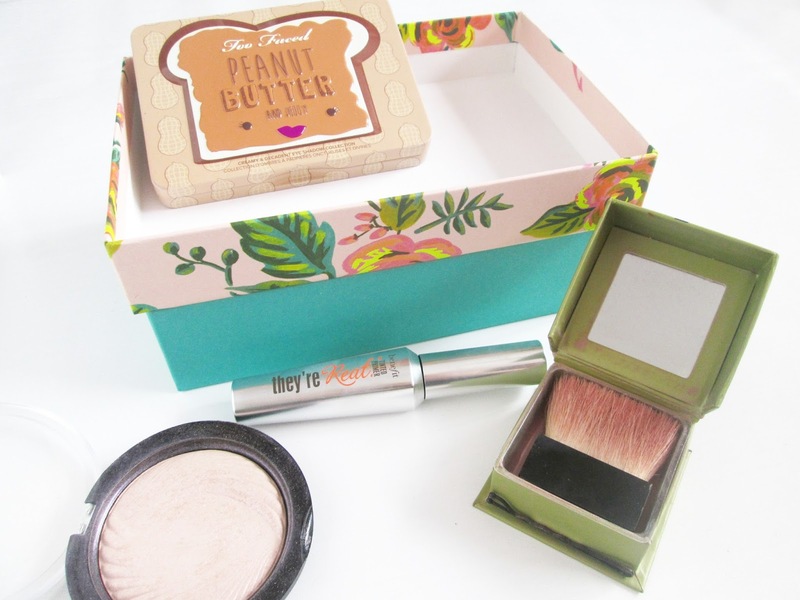 That Too Faced Peanut Butter & Jelly Eyeshadow Palette looks so cute! 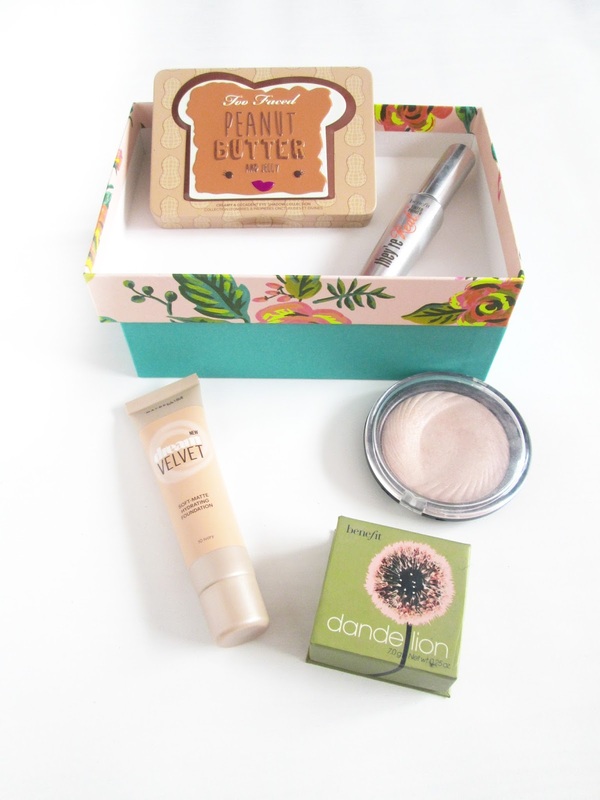 I love Benefit products too, but I've not tried Dandelion yet! ahhh I've picked up the makeup revolution highlighter in golden lights, it's so pretty!! !